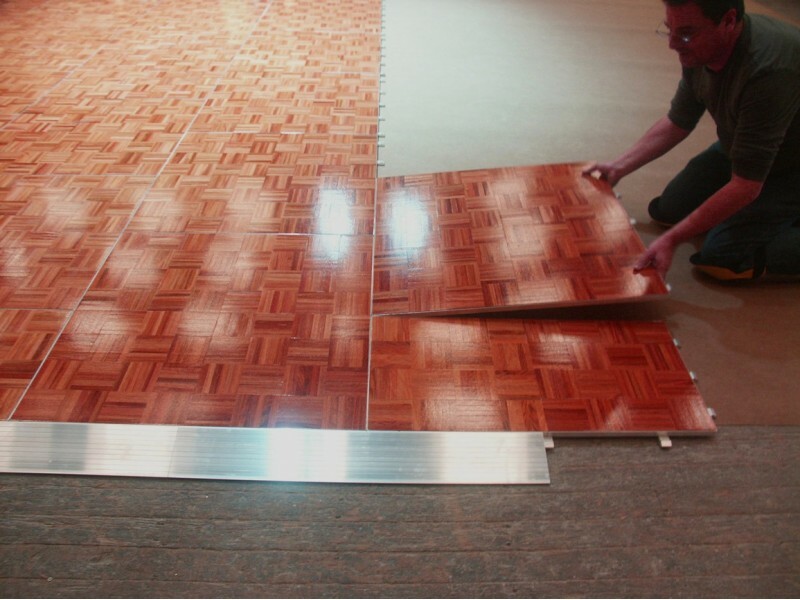 Grumpy Joe invented the no tools, no screws interlocking parquet dance floor back in 1989. Today, Grumpy Joes still manufactures the floor to the same original high standard. 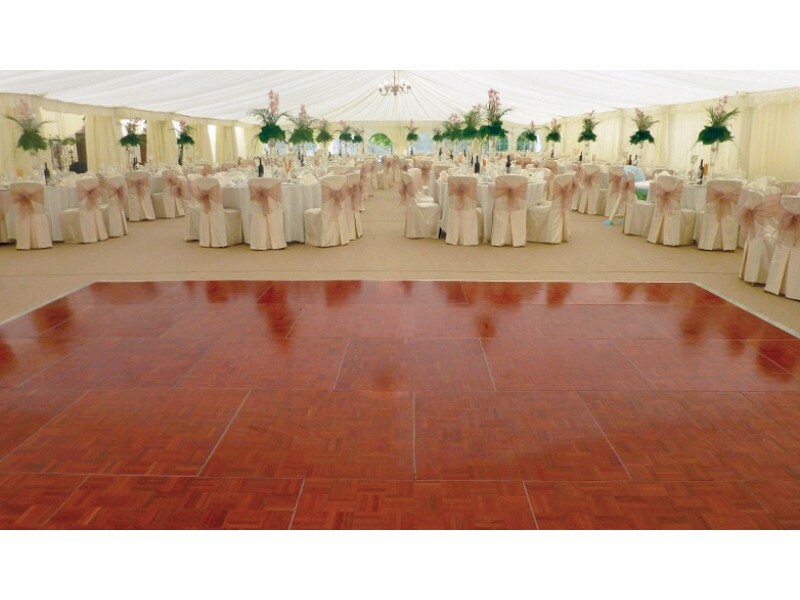 We use the traditional Jatoba red-wood, married to an aluminium tray and battens giving a strong yet slightly ‘sprung’ dance floor. The parquet fingers are beautifully finished with hard wearing, UV-cured, polymer-lacquer for a long lasting shine and supreme durability. 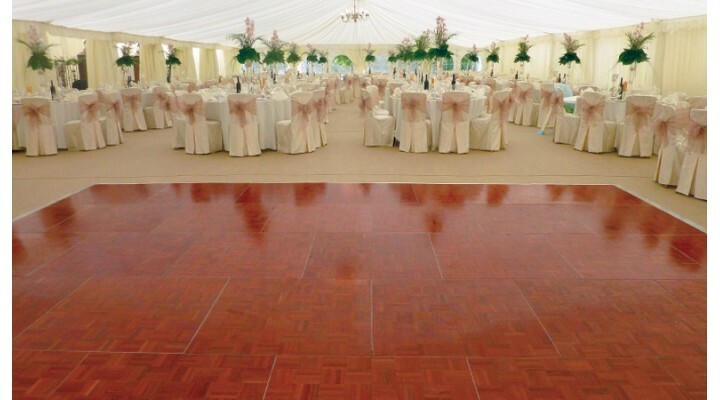 Compatible with all generic aluminium battened interlocking floors, the innovative design of Joes Parquet Dance Floor uses a ‘brick-work’ laying pattern, supporting every joint and guarantees your floor can not split apart in use. Quick and easy to lay, the system connects without the need for any tools or hardware, ensuring this floor can be laid or lifted in a matter of minutes. *Please note that our Parquet flooring is a natural wood product and must not be used with underfloor heating. 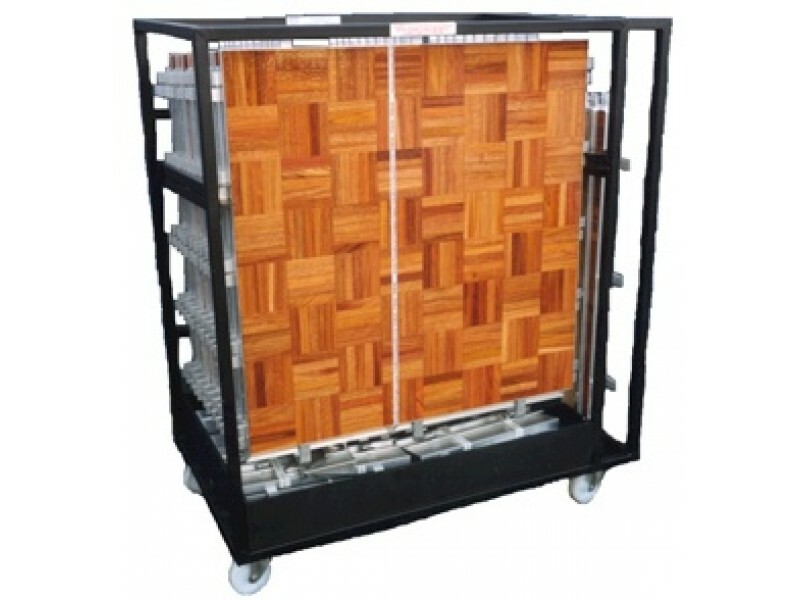 Designed to carry up to a 15’ x 15’ Parquet Dance Floor, including all edging.This trolley will..
All edging for parquet dance floors. *Please note that powder coating is susceptible to scratching. F..